On Monday evening I was tired after a busy day, and I was about to go to bed… I knew the aurora was active but it was too cloudy, still I took one last look at the webcam located in the next valley. 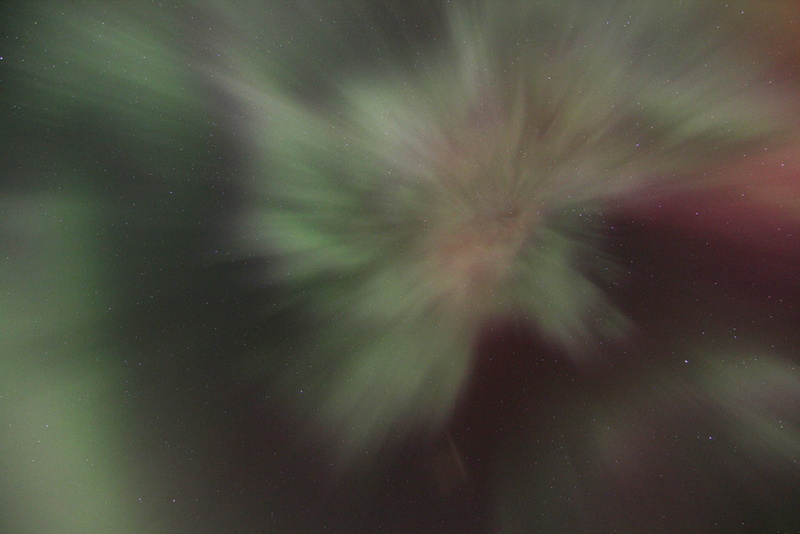 I noticed it had cleared up and there was RED aurora… something I have only seen once before, and that was in the Netherlands. 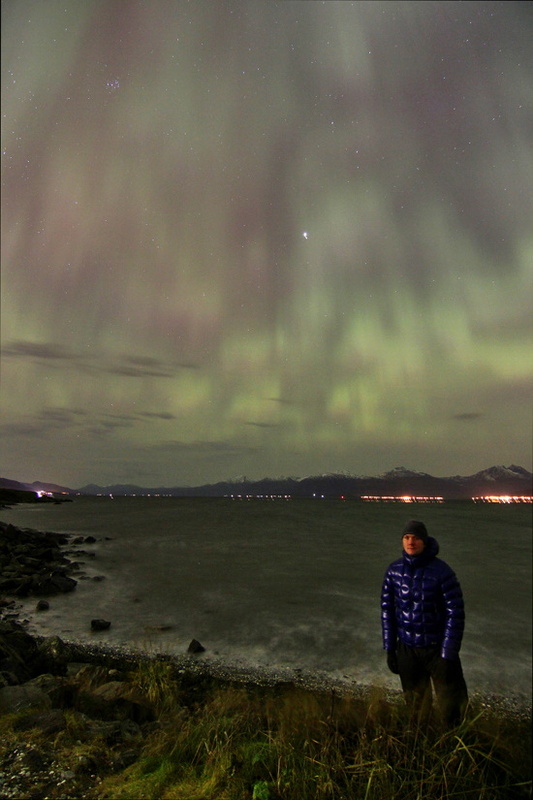 A big auroral storm was happening, and I couldn’t stay at home! Thanks to Facebook, we also got Eelke and Roy to join us 😀 It was an incredible show! 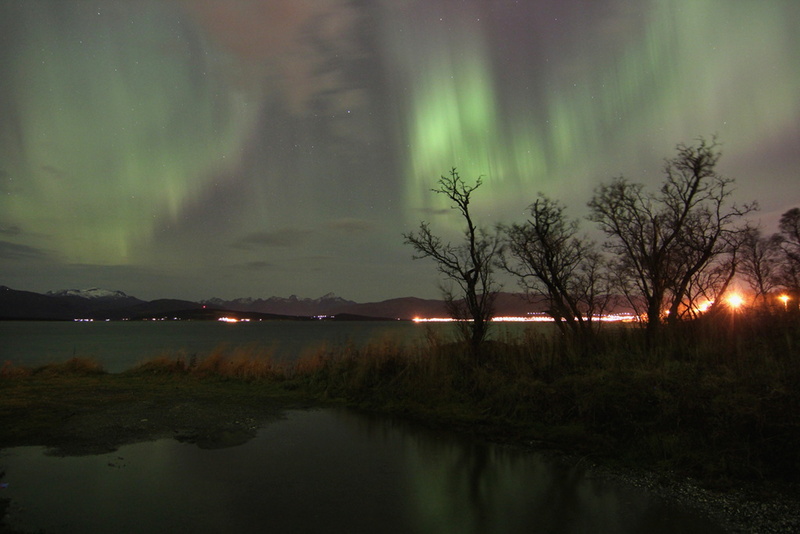 The northern lights were seen all over Norway that night, much further south than they normally do. 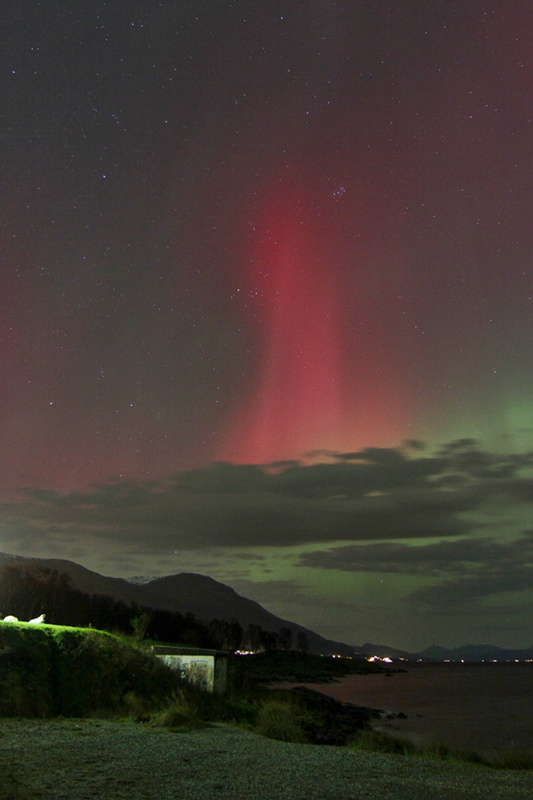 The sky was filled with pulsating northern lights, and at times we could see deep red colours. 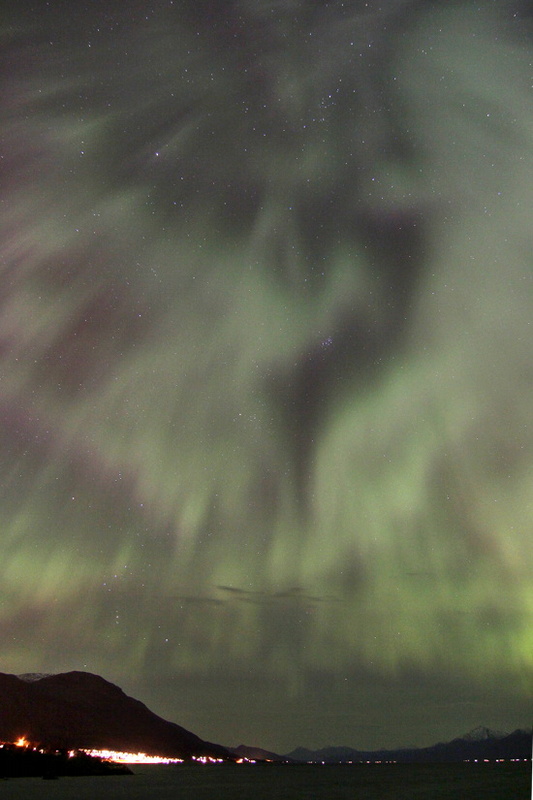 We also saw the corona overhead, very impressive. 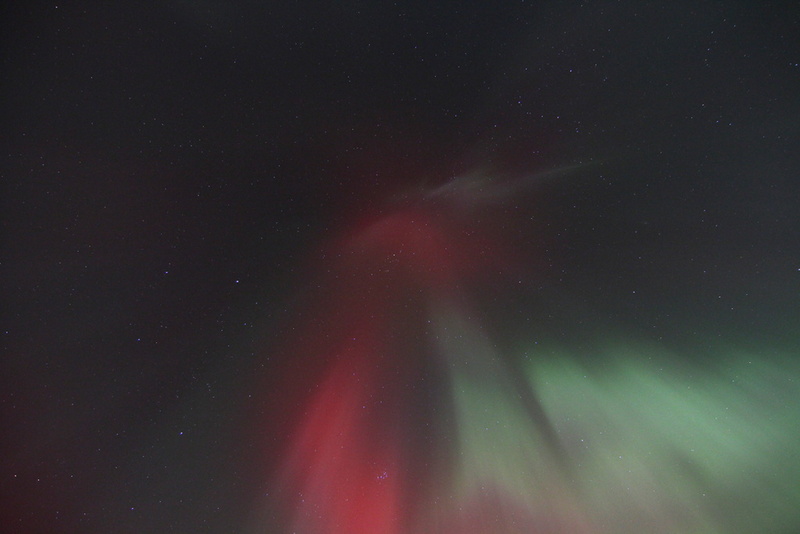 I`m glad you also got to see the red auroras! OH WHAT A NIGHT INDEED!! Thank you for sharing. Saw the webcam animation. I am just totally fascinated. 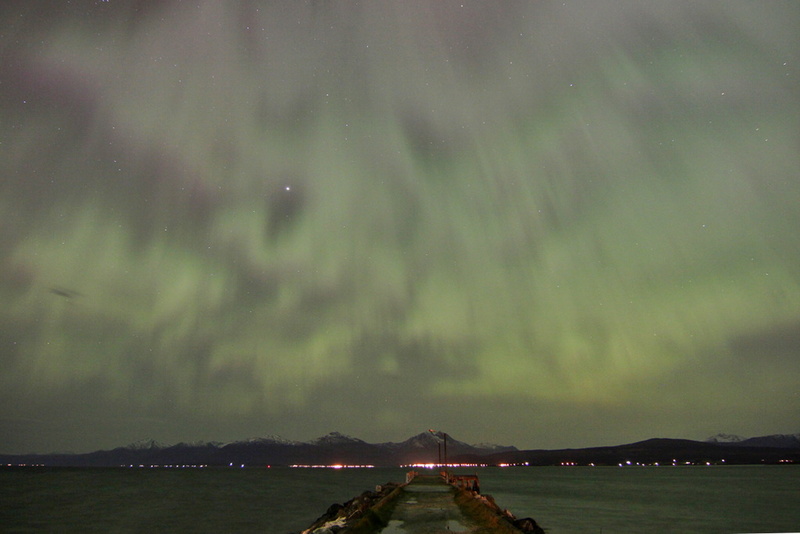 I consider myself as really having seen the Aurora in action. I think I would be totally overwhelmed if I ever witness it in real life. Your pics are just marvelous!!! What a spectacle!! Goodness. Now that IS impressive! I believe either National Geographic or Lonely Planet had a post about that night’s display on their feed, too. Spectacular. Hanneke, I wanted to ask you (as a trusted local) if I need to book any events for the Film Festival in Jan — and if yes, which ones would you consider the most interesting? Are you planning to attend any? Yes this was a very special display, it reached very far south as well. I am so sorry for not getting back to you sooner! I’ll write you a longer email, but to quickly answer your question: I am not sure which events you mean, but I mostly just go to see films. There is an opening ceremony (including a free one in the town square – which I found quite boring: mainly speeches!) and some more film-related events but I don’t tend to go there. The films do actually sell out, so it might be worth checking the program out before you get here. Hanneke, we met you on Monday and thanks to you we were watching the sky cam and saw the green lights earlier in the night. So annoyed that we gave up at about 11 though as it was a once in a lifetime show that we missed!!! We got taken out on a tour Wednesday night though where it was clear and there was a beautiful display that we got to see for over an hour so we can go home happy! It was lovely meeting you and I’m sure we’ll be back to this beautiful place. I am so glad to hear that!! I was feeling a bit frustrated that I didn’t ask for your phone number as I could have sent you a warning… very glad to hear you did see the display 2 days later. I was in the Netherlands by then, but my boyfriend told me it was a nice and active one. You are so lucky! We had zero visibility but the rest of the US saw it all over the place! It’s been quiet here lately. Amazing pictures- what a show that night! 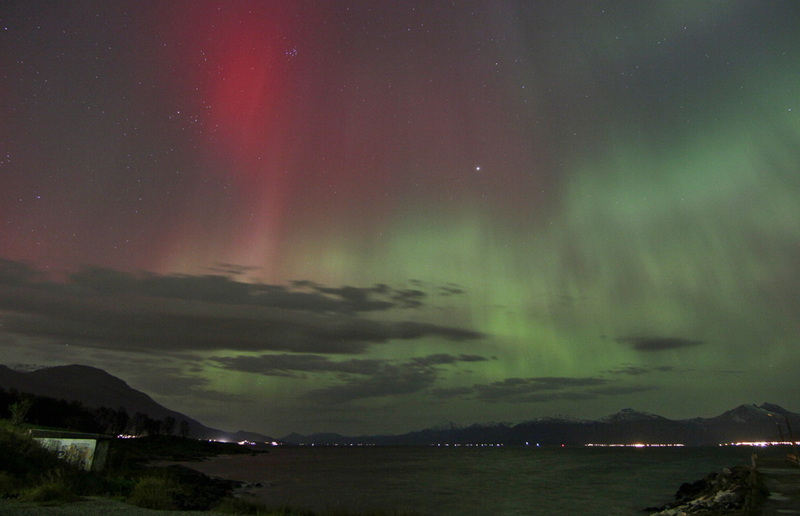 Have you seen the red aurora before?